Here’s the secret to having it all. All around us, every day, there are gifts. Whether we are facing a crisis or not, no matter our challenges or feelings, there are gifts, most of which go unnoticed, unappreciated, and often disregarded. Sometimes they take us by surprise—we experience the “aha” of being helped, or we suddenly see a beautiful sunset, and gratitude wells up in our being. Gifts seem to spring upon us like an epiphany, bursting our hearts with that wild admixture of humility and joy that we know as gratitude. But if we cultivate our awareness to see those gifts more often, with clearer and more consistent vision, something else happens. Thankfulness becomes more habitual, a regular part of how we respond to the world. Yes, gratitude still holds the power to surprise and to elicit a strong emotional response. However, as a habit, it also becomes a steadying companion, incorporated into the story of our lives. Gratitude is not just a knock-your-socks-off revelation of goodness and beauty; it emerges as a daily—even hourly—disposition of appreciation toward familiar gifts, including the tailwinds of blessing. This kind of paying attention is often referred to as mindfulness. I like that more people are embracing practices of mindfulness. But mindfulness involves choosing too. We can choose to focus on our failures or our losses, on what we feel entitled to or what we deserve. We can choose anger, fear, resentment, grief, hubris, or pain. We can choose to live our lives stuck in our worst moments. We can choose to believe that everyone and everything are against us. We can choose to define ourselves on the basis of someone else’s violence, prejudice, or injustice toward us. We can choose to define life as a zero-sum game. We can choose every negative philosophy, theology, or ideology that cuts us off from grace, and we can choose to think there is no one and nothing to thank. If you choose ingratitude, I cannot help you. But most of us do not willingly say, “I have decided to live my life free from thanksgiving.” Even at ungrateful moments, we feel the tug toward something else. But it can be hard to get there. Ingratitude often results from misunderstanding the nature of thanks, failing to see the larger picture of our lives, or forgetting to nurture a spirit of gratefulness. We ignore the tailwinds. But when, if even for a little while, we choose gratefulness, that choice builds on itself and begins to create a spiral of appreciation. The first choice—even if only a vague inclination—sets up the next choice, and the next, and the next one beyond that. To choose gratitude is not an act of dogged determination. To choose gratitude is to hear an inner urging toward thanks, to be aware of the grace in life, and to respond. For whatever reason, we turn and reply to an invitation for a deeper, better life. We may start gratitude practices like writing a journal or listing daily blessings, succeed for a time, and then forget and fail. But—and this is the important part—even if a specific technique fails, it has helped to create a larger environment of gratefulness. Interventions may be short term, techniques difficult to maintain, practices hard to master. But these actions will have shaped a spiritual habitat in which new habits can form. In that environment, it becomes easier to choose gratitude the next time, with fewer struggles and less guilt, and eventually thanksgiving becomes habitual. Thus, habits seed a spiritual habitat in which we can dwell in greater awareness of gratitude, so that gratitude enters in and inhabits us. We can intentionally practice gratitude—through greater awareness, through specific techniques, by developing new routines, and by strengthening habits of gratitude. As we do these things, gratefulness becomes part of who we are. English essayist Samuel Johnson once said, “Gratitude is a fruit of great cultivation.” The Christian scriptures liken gratitude to joy, a “fruit of the spirit.” Gratitude is not only an emotion; it is something we do. It is like tending a garden. It takes planting and watering and weeding. It takes time and attention. It takes learning. It takes routine. But, eventually, the ground yields, shoots come forth, and thanksgiving blooms. 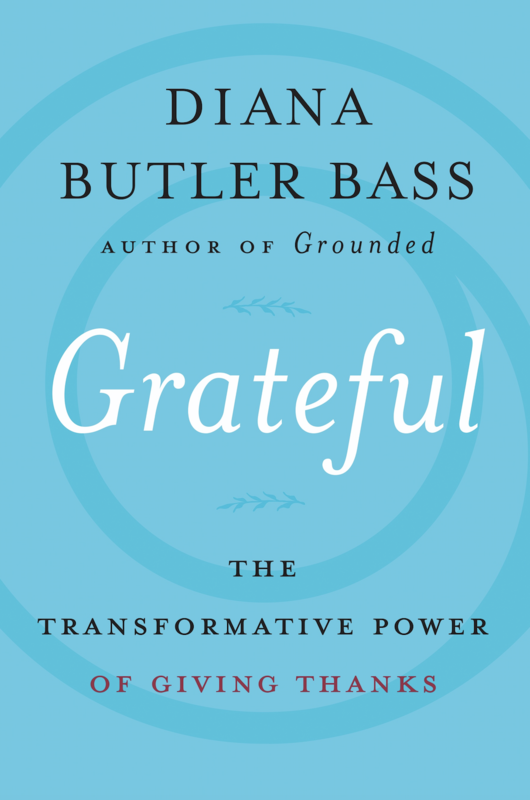 Excerpted from Grateful: The Transformative Power of Giving Thanks. Copyright © by Diana Butler Bass. Published by HarperOne, an imprint of HarperCollins Publishers.